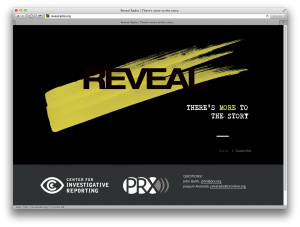 The Center for Investigative Reporting and PRX had a question – how to imagine a new public radio show focused on the best, most in-depth journalism happening in America & around the world? How do you make that show relevant to today’s jaded / cynical yet sophisticated / engaged audiences? In ten weeks, I worked with their small team to conceive, create and produce a one-hour broadcast geared to the US public radio market. 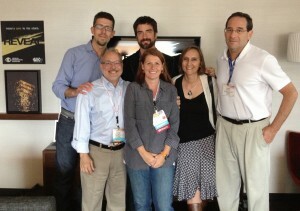 The one-hour pilot was pitched to a standing room only crowd of program directors at the 2013 PRPD and was successful beyond all traditional measures. It was carried on over 140 public radio stations as a one-off special, including on eight of the top ten markets. Our Reveal cover story inspired Congressional hearings in the House. In May, 2014, the show was awarded a Peabody Award, broadcasting’s highest honor. 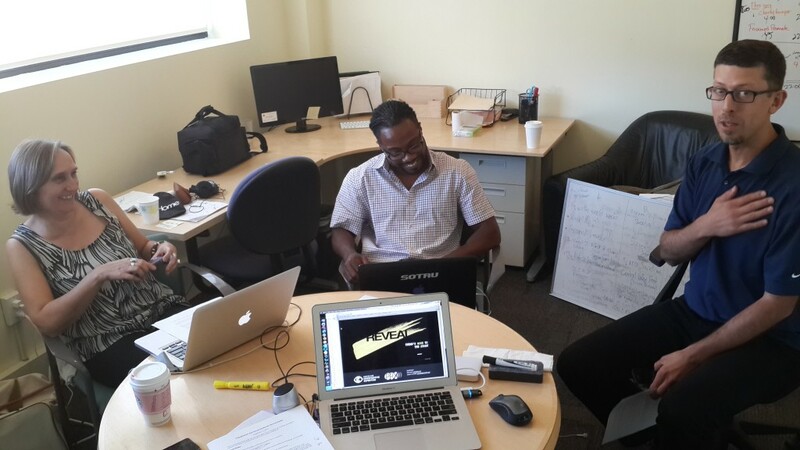 Susanne Reber (L), Al Letson (C) and Joaquín Alvarado (R) at the Center for Investigative Reporting.